At MakerBot we believe there is an innovator in everyone. 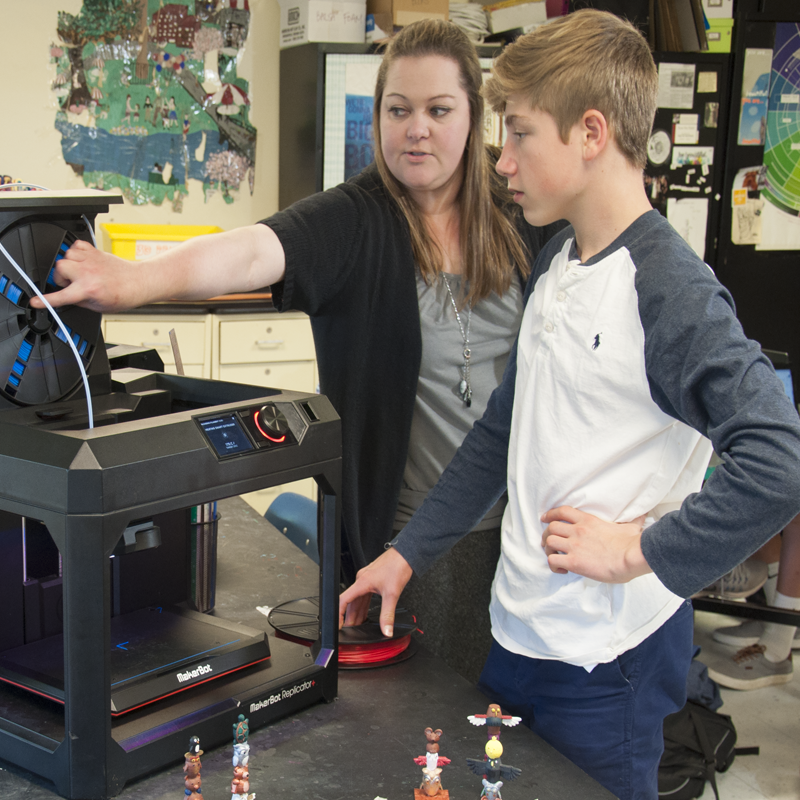 MakerBot Education is the industry leader in providing educators with the resources that they need to be successful in integrating 3D Printing into today’s STEM classroom. The MakerBot Replicator Z18 combines an extra-large build volume with ease-of-use and connectivity features so you can go from 3D model to 3D print efficiently and easily. MakerBot Tough PLA Filament is as tough as ABS and as reliable as PLA. Made with designers and engineers in mind, the Slate Gray Tough PLA Filament Bundle allows you to create durable, high-impact strength prototypes and fixtures. It includes three spools of Tough PLA Filament and the Tough PLA Smart Extruder+. Large 10-pack of PLA includes one large spool in each of the following True colors: Red, Orange, Yellow, Green, Blue, Purple, White, Warm Gray, Cool Gray, and Black. your next design project, MakerBot offers reliable 3D printing solutions for all of your needs. Terms: Customers may redeem (1) MakerBot Z18 Free Filament Promo per Z18 serial number. Applies only to new purchases of the MakerBot Z18 during time of promotion. This promotion may be redeemed with the new purchase of official MakerBot Packs, Bundles, and Labs. It is stackable with other ongoing MakerBot promotions. Valid through MakerBot and MakerBot Certified Resellers in the U.S. and Canada only. Must be claimed within 30 days of purchase. Offer ends Dec 20, 2017 at 11:59 p.m. PST. How can MakerBot Experts help you get started with 3D printing today?